Every 6 months or so I give my rate predictions for the coming 6 months. As I’ve stated in previous blogs, the FED has been eager to raise rates for the past couple of years. But the economic numbers have just not supported the increases they would like to make. Since Trump was inaugurated the FED has raised the Fed Funds rates twice, each time increasing .25%. In general, the FED believes Trump’s policies of less taxes and less regulations will create greater growth in the economy. This increase of .5% in the Fed Funds rates has driven 30 year fixed mortgage rates up about .75%. Currently the Freddie Mac weekly rate average is 4.1% with .5 points up from 3.42% on October 6th. So where will we be by years end? I see this upward trend continuing. 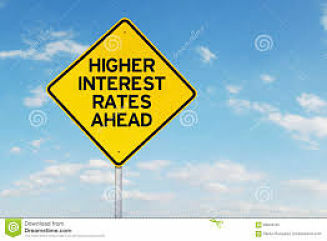 The FED is just itching to keep raising the Fed Funds rate and it will not take much for them to pull the trigger. If Trump gets his wish of lower taxes I believe the Fed will raise right away. One of Trumps biggest campaign promises is to get the economy robust again. If he succeeds with his agenda and lowers taxes (personal and corporate) the economy will accelerate and the FED will raise rates 2 to 4 more times this year. My prediction is that 30 year fixed rates will be hovering around 5% by years end.